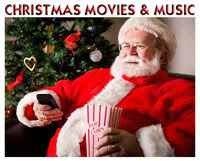 Its a Wonderful Movie - Your Guide to Family and Christmas Movies on TV: TCA NEWS! HALLMARK MOVIES & MYSTERIES - Returning Favorites & New Suspense! TCA NEWS! 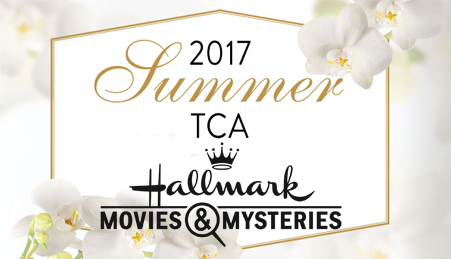 HALLMARK MOVIES & MYSTERIES - Returning Favorites & New Suspense! Viewers will be treated to more of their favorite mysteries with new installments of “Garage Sale Mystery” starring Lori Loughlin (“Fuller House”); “Aurora Teagarden” starring Candace Cameron Bure (“Fuller House”) and Marilu Henner (“Taxi”); “Gourmet Detective” starring Dylan Neal ( Fifty Shades of Grey ) and Brooke Burns (“The Chase”); “Signed, Sealed, Delivered” starring Eric Mabius (“Ugly Betty”), Kristin Booth (“Orphan Black”), Crystal Lowe (“Primeval: New World”) and Geoff Gustafson (“Rogue”); “Hailey Dean Mysteries” starring Kellie Martin (“ER,” “The Guest Book”) and “Fixer Upper Mysteries” starring Grammy Award nominee Jewel and Colin Ferguson (“The Vampire Diaries”). June 2017 (6/29 – 7/25/17). Total Day (Mon – Sun 6A - 6A). No more Murder She Bakes it would appear - I wondered if we'd reached the end of the line when they got engaged in the most recent movie. I'll miss these but look forward to more of the series they are continuing. Thanks for your dedication in keeping us up to date, Net! Oh, I don't want it to ever end. I guess we know there will be no new "Murder She Baked" movies for the near future, but you never know next year! I'm still hopeful, especially if fans keep expressing an interest. I keeping hoping they will, at least, give us the wedding! So glad you love it, Julie... as much as I do!!! My Mom and I have also really enjoyed watching the Murder She Baked series. They are so cute and I have been a big fan of Alison Sweeney for a while. Please bring it back. Please bring back murder she baked. I have read all of the books and love these movies. The characters are great. I always look forward to the next. I miss The Murder She Baked mystery movies. I keep watching the movies over and over again. I also like some of the other mystery series. Bring back Murder She Baked!!! Is there anything I can do that would help bring back the series? Please bring murder she baked back! Plus when will murder she baked just desserts be available on DVD? Please make more Murder She Baked movies!!!! Oh, and Garage Sale Mysteries...I also enjoyed the ones with Brooke Shields!! I hate to be a complainer but I was disappointed in not seeing more Murder She Baked in the list. Hopefully we will sometime next year. I miss seeing it, too! It's such a great cast - I would love to see how all of their stories might progress. 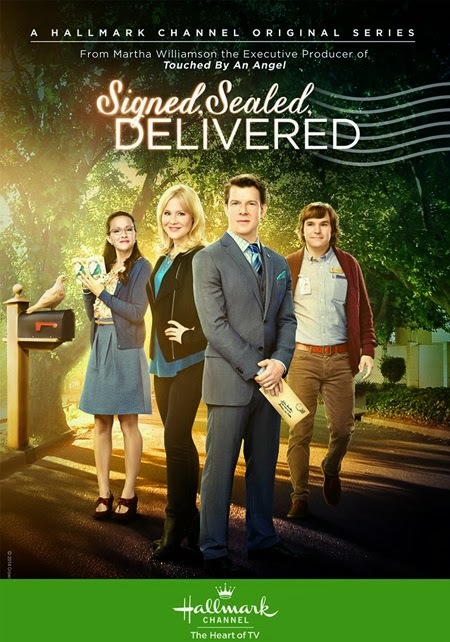 Let's keep hoping and letting Hallmark, plus Alison Sweeney, Cameron Mathison, Lisa Durupt, and Barbara Niven know how much we love the series!!! Thank you for commenting, Becky, and sharing your love of "Murder She Baked"! I wonder if it has to do with the break due to Alison Sweeney working on a few Hallmark movie projects this past year.Just Desserts, Blueberry Farm and I believe a Christmas movie also. (+ Mathison has been busy with Hallmark projects also). Yes, Alison Sweeney, Cameron Mathison, Barbara Niven, and Gabe Hogan have many various projects on Hallmark and other other networks! Also, since Alison Sweeney was injured in a skiing mishap at the beginning of the year, and later recquired surgery, this may have changed her filming schedule up a bit. This seems to be a minor thing. We could be seeing a month of Murder She Baked series sometime (much like the Garage sale mysteries) as writer Joanne Fluke has many Hannah Swenson mysteries available for movie production. As long as Hallmark, the writers, and actors are into it - I can't see why not. Surely Hallmark would green-light more if the creative team is willing. Plus -- You are so right, regarding the books, there are plenty of more stories to tell!!! Does this mean that Brooke Shields Flower Shop Mystery series is no longer being produced? I'm not sure there is any hope for "Flower Shop Mystery" movies to return, but one never knows. Each time new mysteries are listed, I'm sure many of us "Flower" fans will continue to look for it. Thank you for asking, Cecil. Wish I could give you a more positive answer on this one. I REALLY hope Brook Shields comes back. She is such a awesome actress as I was looking thru the email I was hoping her series would be on here. Fingers cross we see something SOON! Murder She Baked is my favorite! So sad to not see it listed! I know, Jennifer - I'm disappointed, too! I'm so not ready for "Murder She Baked" to end! I was looking for that also and was very disappointed! Someone mentioned they got engaged!Do you know which Murder she baked movie they are talking about.I thought Just desserts was the last one if theirs something I'm missing please let me know? "Murder She Baked: Just Desserts" is the last movie made, as I write this. At the very very end of "Just Desserts" there is a quick scene where Mike and Hannah talk about being engaged! I love ALL the MSB movies, but this development was a little faster than I would have liked to see their relationship unfold, but that's where they left the last movie, with Mike and Hannah's engagement. Thank you, Shanta, for sharing your love of the "Murder She Baked" movies! Yes! I love that title! Did you see the cute candid pics Jen Lilley and Ryan Paevey took together at the TCA event - as they shared their new movie? They looked like they were having so much fun- I bet they will have great chemistry in their movie! What??? No more Murder She Bakes! That was my favorite of all the mystery series on HMM. The last show seemed off to me...like it was missing key ingredients that have been stirred in all the rest of the series! The banter was off between the characters, the setting was off, not Hannah’s original house, the fun upbeat music between was not there...in general the writing seemed different and did not gel right with the other movies! I thought it was darker and not as light hearted. I know it is a mystery, but the other movies had that. I thought how Mike & Hannah were finally a couple and Norman was out of the picture was a big skip from the last movie. While watching the last movie I kept thinking did I miss one, because this one did not flow well at all! It lacked, it was too dry and it was baked too quickly. I believe the viewers were expecting more and we didn’t get it and it looks like we might not ever. Well, there are no new Murder She Baked movies, yet... but, you never know next year. I agree, things did seem to flow a little differently in the last movie as it transitioned from the typical love triangle - to eventually the engagement. I kept feeling sorry for poor Norman, even if I've always been on Team Mike! Please tell me the last Murder she baked movie you saw I must have missed one or two! 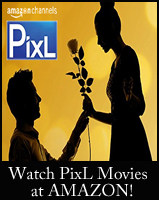 The last movie is "Murder She Baked: Just Desserts"! I thought at the beginning of the year it was reported that Hallmark M&M was planning a movie based on Stay at Home Dead by Jeffrey Allen and starring Brennan Elliot. Any news on that? Is it still in the works? But, Brennan Elliott will be pretty busy filming the All of My Heart sequel, and I'm hoping for another Hallmark Christmas movie, too, but we'll see!!! I'm joining all the others in my disappointment that there are currently no New Murder She Baked movies scheduled. Love the cast and each movie was very enjoyable. I agree with what everyone was saying. My favorite is Aurora Teagarden with Candice Cameron Bure and Yannick Bisson from Murdock Mysteries, but my second all time favorite is Murfer She Baked because I am a Hugh fan of Alison Sweeney and like everyone else I want to see the wedding that we have all been waiting for. It’s not fair to the fans to be left hanging with just a marriage proposal. We need more if Mike and Hannah. Please hallmark, don’t leave us hanging. Agreed, we need more MSB soon!! I am hoping that they will do more Murder She Baked in 2018 at some point. They are great and I love the cast. The chemistry is excellent and the acting is top rate. Hopefully schedules will be able to mesh and they can do one for later in 2018. 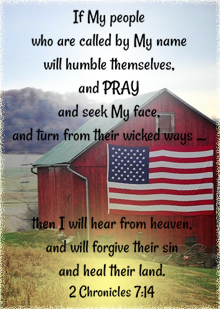 PLEASE PLEASE PLEASE! Suggest to have Murder She Baked into a weekly TV show series. Like Bones every week a new murder. The cast is great would make a good weekly show to watch. That is correct, George. Unfortunately, the Movie "Last Scene Alive: An Aurora Teagarden Mystery" was Yannick's last. I know many fans are sadly disappointed. Based on what I know about the books, Hair and Martin get married. So how are they going to change that in future movies? Will she get really involved with Robin? But I do know that in the book she winds up Married to Martin. In the books, Martin dies when he is shot in the ‘Oh Baby’ book. She rekindles with Robin. It’ll be interesting to see where they take her character. They’ve really veered from the books, making Roe more wholesome on the screen than in the books. I really recommend the series. I read them as audiobooks, and I love the reader. I’ve listened to them more than once. His character Martin wasn’t written out he was just in the new movie that played this past weekend! Unfortunately, Tina, that was Martin's (Yannick's) last Aurora movie. He will not be returning after "Last Scene Alive: An Aurora Teagarden Mystery!" Many fans are pretty disappointed. Jan. 2018 Just watched the "Murdered She Baked" marathon. Sorry to see that there is no more new movies in the works. Please continue with the series and the original actors. Keep a good thing going. I feel exactly the same way about "Murder She Baked"! 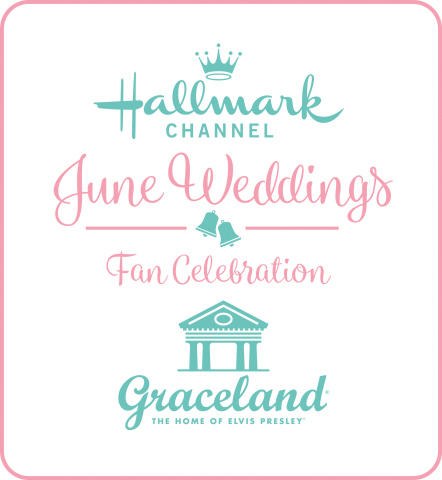 I, too, caught some of the marathon Sunday on Hallmark Movies & Mysteries. Even though I've already seen every MSB movie, I was still captivated by each one I saw! Would absolutely love, love, love to see more in this series! Watched a ton of the Christmas movies, which naturally transitioned into the mystery movies. Murder She Baked is adorable. I’m only 3 movies in but my daughter and I are addicted. I hope there will be more in the future. I'm also in the camp of wanting to see more Murder, She Baked. I think it's the best of the mysteries. I think the real reason that we will not be seeing any more murder she baked movies in the near future is that Allison Sweeney, from what I have read and heard, is returning to her show proper that she has played on for many years. I am not a soap opera fan so I don’t know the name of which one it is but I don’t think she would have the time to do that daily and then make these films for a couple years I think the real reason that we will not be seeing any more murder she baked movies in the near future is that Allison Sweeney, from what I have read and heard, is returning to her show proper that she has played on for many years. I am not a soap opera fan so I don’t know the name of which one it is but I don’t think she would have the time to do that daily and then make A couple of these movies a year as well. That's definitely a thought, Tina. Alison has starred in the soap opera Days of Our Lives for years. She has left the show and returned to the show numerous times. I'm sure that is a factor in the decision... also many of the other stars in the series are quite busy with other acting projects, too. Yes please bring Murder she baked back! I have the book series on Kindle so I know you have so many different avenues you can go down please it's my favorite and usually the reason I watch Hallmark! Thank you for that answer I will have to watch Just desserts again! I'm hoping they play it again this year because I totally missed that part! You're welcome, shanta! I just checked for you and "Murder She Baked: Just Desserts" is playing again - soon! Hope you can catch one of these! It is so good - I know all of us MSB fans want more!!! Thank you do you know when?So I can set to record just in case I forget!My memory is terrible! Shanta- Yes, "Murder She Baked: Just Desserts" is playing again Saturday February 10 at 11:00 PM/10c. 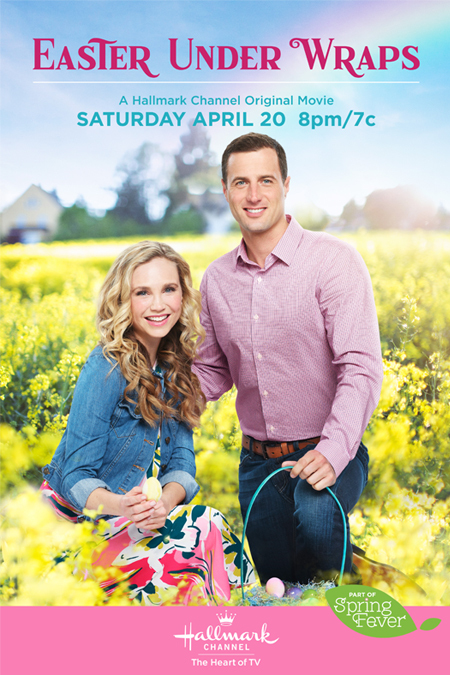 and Sunday March 25 at 11:00 PM/10c. Oh I'm in with the rest of you, they should bring back Murder She Baked. Among the HMM shows, MSB and the Aurora Teagarden series are the standouts. But I love MSB the most. I agree Murder She Baked needs to continue. I love many of the series but the best are Murder She Baked and Aurora Teagarden. Please bring back the Murder She baked series! I love Alison Sweeney and I have all of these movies on my DVR and watch them multiple times a week! Please know there are still plenty of fans out there waiting for the next one to come out... Don't let us down! I agree, Murder She Baked was my favorite. I do know Alison Sweeney is returning to DOOL this fall. Maybe next year she'll have time for a Murder She Baked in addition to "The Chronicle Mysteries" she is now doing for Hallmark? We just watched 2 back-to-back "Murder, She Baked" movies on a rainy Sunday. I love these movies and will also hope that the network will do an occasional movie with this great cast and great stories!!! I 100% AGREE! Hallmark really should continue the "Murder She Baked" mystery series! From what I've heard... Barbara Niven and Cameron Mathison are totally on board, and recently Alison Sweeney made a comment in regard to the possibility of it coming back one day. In other words, the door hasn't been completely shut! So... I'm hopeful sometime in the future, maybe, they will return for Mike and Hannah's wedding!